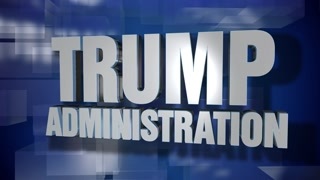 A blue dynamic 3D Trump Administration transition and title page animation. 5 and 2 second options included with optional luma matte for both. 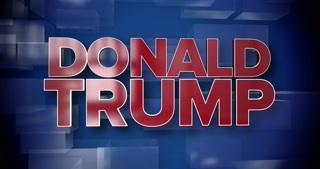 Animated U.S. President Donald Trump And Speech Bubble. Flag Of United States On Background. A hand rises up and grabs the top of the screen with the USA flag and pulls it down like a cloth. Can be used as an innovative transition. Comes with a green screen and the alpha matte, to enable you to chose how to composite your own background. Plate with Republican Party (GOP) logo and Healthcare text label being crashed with Judge's Gavel (Hammer). Shot of the Wall Street Journal website's cover of result of Presidential election.